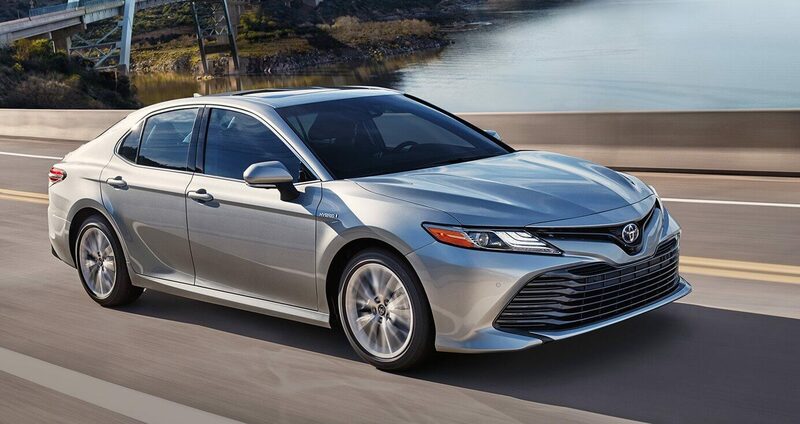 The 2019 Toyota Camry and Camry Hybrid bring sleek style, seamlessly integrated technology, an engaging drive, and an entirely transformed Toyota experience. Whether you take home the standard 4 cylinder or optional hybrid or powerful V6, you can feel confident going where you need to be in your new Camry. 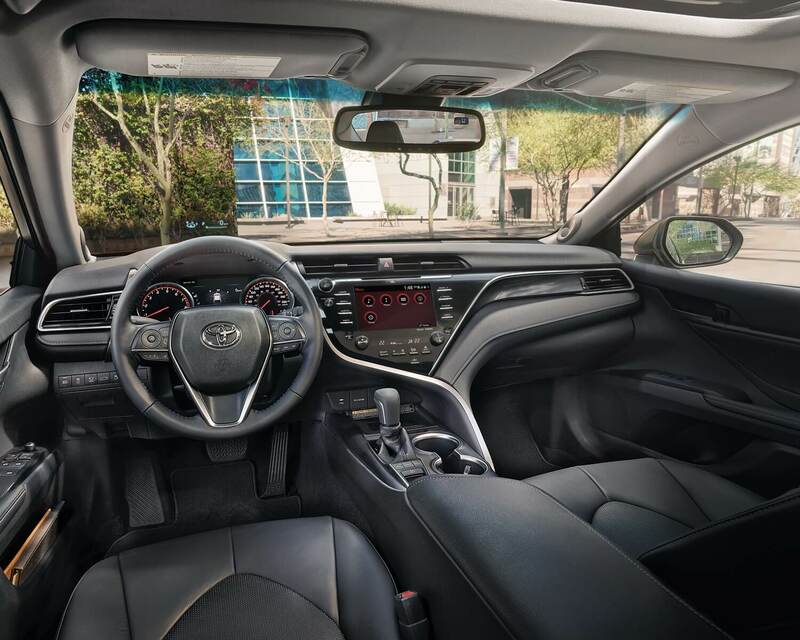 Everything about the 2019 Toyota Camry has been designed to help you get the most out of every road you travel. From its sleek, sophisticated lines, to its powerful and engaging drive, right down to the smart, thoughtful technologies that are seamlessly integrated throughout. The Camry leaves you with one distinct impression: this car is destined to bring you so much more. 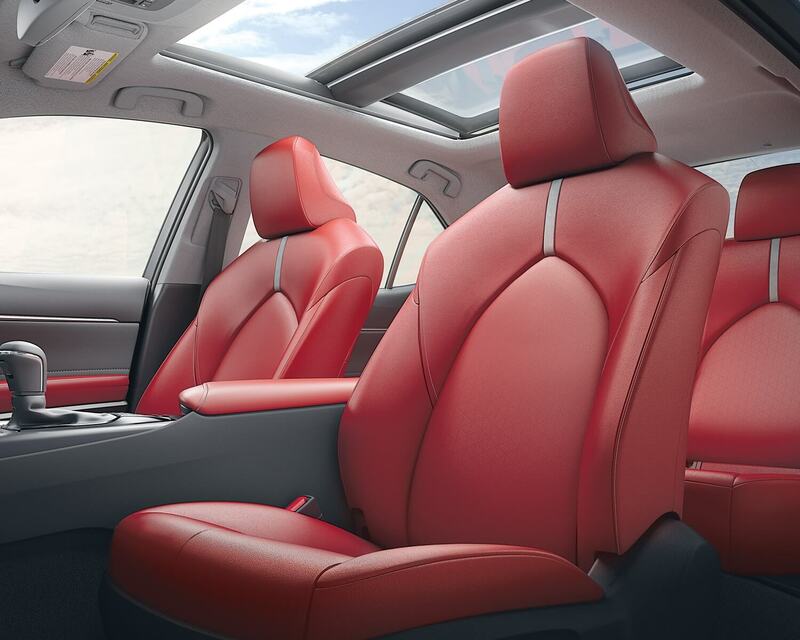 As stunning as the Camry looks from the outside, you’ll be floored by how it feels on the inside. Graceful, fluid interior lines made of refined materials, creating a driver-oriented cockpit that literally wraps around you. In fact, you could say that it fits both your needs and desires. The seats are distinctively shaped with available leather trim and contrast stitching, and placed lower to create a generous interior space. The rear seats even feature the same dynamic and supportive design as the front seats. Such finely crafted details put a premium on everyone’s comfort. 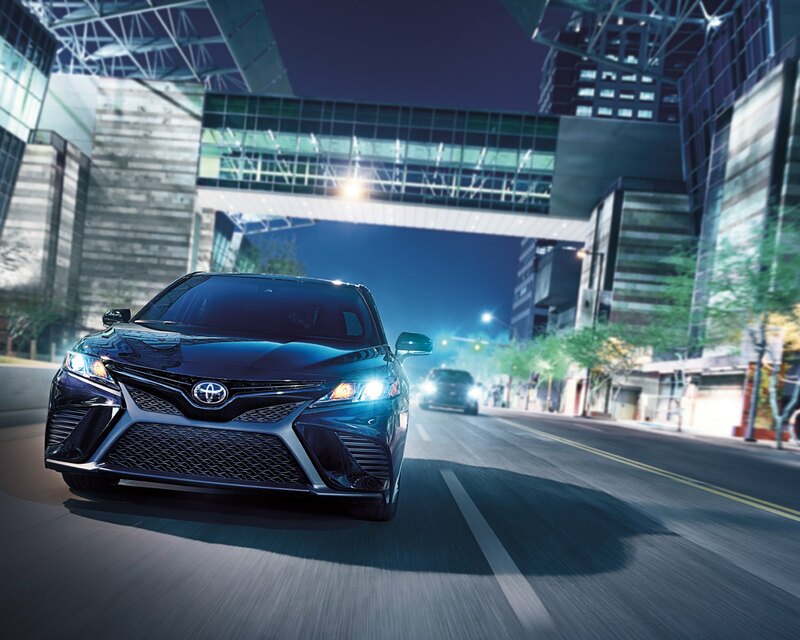 The 2019 Camry injects a level of driving excitement into the category. Its strong, lightweight body offers exceptional handling, while its low wide stance delivers a responsive feel that puts you in command of the vehicle and the road. Whether you choose the 3.5-litre V6, or the 2.5-litre 4-cylinder gasoline engine or Camry Hybrid’s 2.5-litre engine, you get remarkable power, enhanced fuel efficiency, and remarkable driving response to conquer every twist and turn. Entune 3.0 Audio Plus with 9-speakers, JBL Synthesis Audio , 8-inch Display, Bluetooth®, Satellite Radio, and Backup Camera. Works with Apple CarPlayTM. 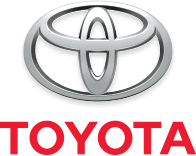 If you'd like to find out more about the Camry, feel free to browse our online inventory by clicking below, or contact us and one of our Product Specialists would be more than happy to answer any questions.